In 2012, there were 207 million cases of malaria and approximately 627,000 deaths. Malaria is a particularly serious problem in Africa, where one in every five (20%) childhood deaths is due to the effects of the disease. An African child has on average between 1.6 and 5.4 episodes of malaria fever each year. And every 30 seconds a child dies from malaria. Early diagnosis and prompt treatment are the two basic elements of malaria control. Early and effective treatment of malaria can shorten the duration of the infection and prevent further complications including the great majority of deaths. Access to disease management should be seen not only as a component of malaria control but a fundamental right of all populations at risk. 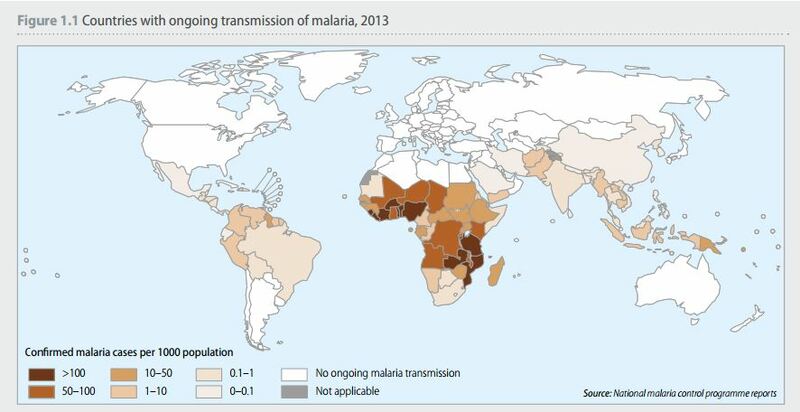 For more information on malaria, see the WHO website here.